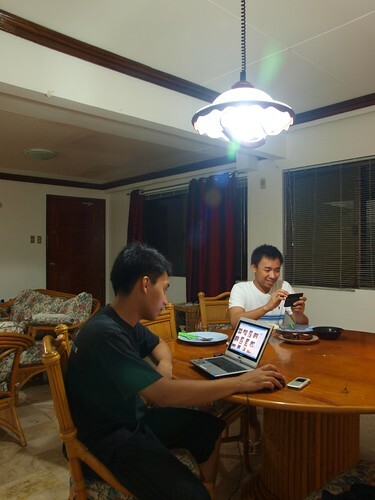 Tonight, at 8:30PM, we turned off all the lights in the house as participation to Earth Hour 2010. 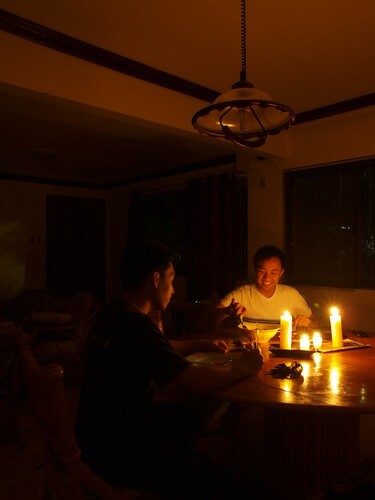 For 1 full hour, the house was dark save for a couple of candles, we had our dinner by candle light. I have heard and read a lot of dissenting opinions about Earth Hour, how it doesn't really do anything and all that. I noted, as we turned off our own lights, some of our neighbors did not, the street lamps we not turned off, and most of the other appliances in our own house was still running as well - refrigerators, air conditions, laptops and whatever else. So why the heck did we still do it? Earth Hour allows us to realize that even if it was just us on our street, our town or city who participated in this event, even if our contribution is so little it seems insignificant, the collective result still becomes staggering - if enough people all over the world are doing the same thing. It provides us an affirmation of our power, in the grander scheme of things, to affect the world. Thanks to Dominic for the photos! i turned off my pc, my electric stove, my aircon and my lights. some neighbors did observe earth hour too. i took a nap while waiting for the 60 minutes to pass. 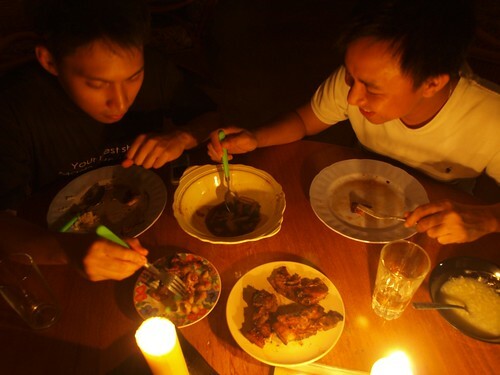 We participated in Earth Hour last year. We turn off the lights, but the TV and PC is on. We joined the celebration and cue from TV. Yesterday, we participated at SM Marilao, they invited bloggers in the event. I felt good knowing that there were many people who love the Earth. I think it's a meditative exercise to make people more aware - I didn't participate, but I did spend last weekend at camp with the Boy Scouts, and we told tales by firelight, used flashlights, and slept in tents outdoors. Even out in the country, we weren't really far enough from the city lights to see ALL the stars, and that frightens me a little. I miss the stars. I kind of wish ALL lights had to be turned out from midnight to four AM, at least. We lost power twice the week before - all power. No hum from the fridge, the a/c, the other appliances. You forget what SILENCE is, until the whole neighborhood loses power. As your ears grow accustomed to the lack of an electrical buzz, the softer sounds of nature emerge. And just as with the stars, there's a noticeable lack of something that used to be, whether it's crickets or frogs or fireflies, all these things have become rarer. They're still there, but in smaller numbers, threatening to be forgotten. Broken wire between our neighbor's house, and the transformer - I guess they had a bit of trouble finding and fixing it.